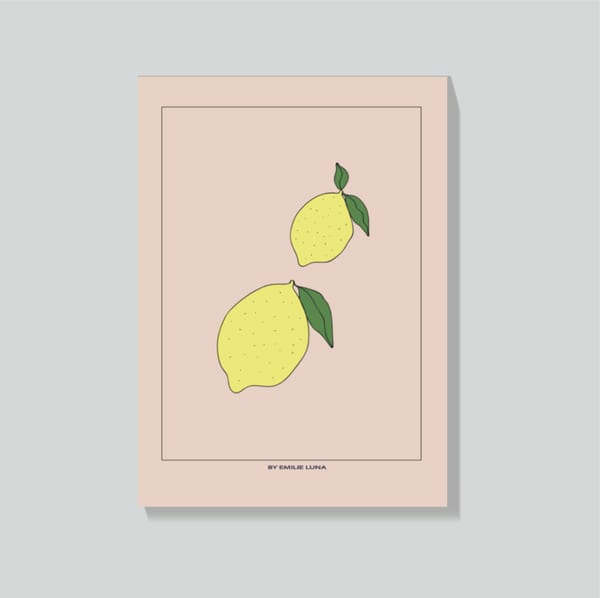 Fine lemons for your wall By Emilie Luna stands behind this simple and stylish design poster that fits perfectly with the Scandinavian, minimalist style. The poster's motif is made up of two fine yellow lemons on a light, pink background. Dims Studio in Aarhus, Denmark.